A program for drawing structured diagrams. Dia is a gtk+ based diagram creation program released under the GPL license. Dia is inspired by the commercial Windows program ‘Visio’, though more geared towards informal diagrams for casual use. It can be used to draw many different kinds of diagrams. It currently has special objects to help draw entity relationship diagrams, UML diagrams, flowcharts, network diagrams, and many other diagrams. It is also possible to add support for new shapes by writing simple XML files, using a subset of SVG to draw the shape. 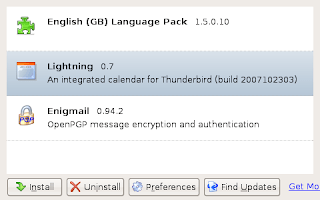 Lightning brings the Sunbird calendar to the popular email client, Mozilla Thunderbird. Since it’s an extension, Lightning is tightly integrated with Thunderbird, allowing it to easily perform email-related calendaring tasks. 1. 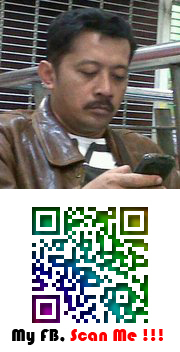 Right-click the link below and choose “Save Link As…” to download and save the file to your hard disk. 2. 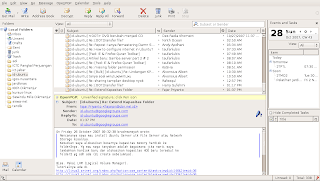 In Mozilla Thunderbird, open Add-ons from the Tools menu. 3. Click the Install button, and locate/select the file you downloaded and click “OK”. I hope your battery is safe and not require to be replaced. Ubuntu Muslim Edition : UbuntuME memiliki fasilitas yang cukup bagus untuk orang muslim sebagai pengguna Ubuntu Desktop. Beberapa aplikasi penting yang bagus adalah : 1. Islamic Calendar; 2. Minbar; 3. Zekr.Cara cepat untuk melakukan instalasi UbuntuME adalah dengan cara menjalankan script instalasi UbuntuME. 4. Ikutilah tahapannya, karena nanti akan juga ditanya ttg accept the Java license and Zekr Quran translations.